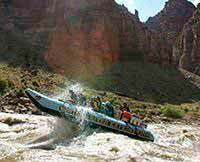 I was just on a trip wth the WRE crew for a 4 day raft trip which I can just rave about! 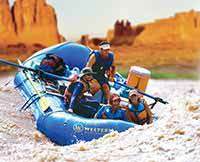 This was a wonderful trip down the Colorado river, where we spent time enjoying the beautiful landscape, exploring some wonderful canyons, and waterfalls, and finally getting our feet (and the rest of us), wet with some awsome rapids! This trip made us some new friends, were we shared some wonderful hikes, and spectacular views, and many great full course meals, made onsite! We were told this would be a trip of a lifetime by many, and it sure met that and more... Thank you to our crew, you folks made this the best we have ever had .